Has learning R been driving you a bit crazy? 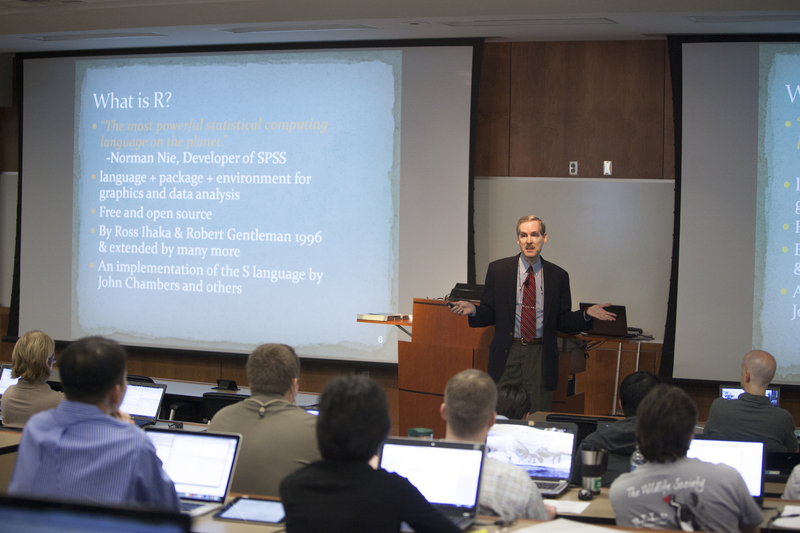 If so, it may be that you’re “lost in translation.” On June 17 and 19, I’ll be teaching a webinar, R for SAS, SPSS and Stata Users. With each R concept, I’ll introduce it using terminology that you already know, then translate it into R’s very different view of the world. You’ll be following along, with hands-on practice, so that by the end of the workshop R’s fundamentals should be crystal clear. The examples we’ll do come right out of my books, R for SAS and SPSS Users and R for Stata Users. That way if you need more explanation later or want to dive in more deeply, the book of your choice will be very familiar. Plus, the table of contents and the index contain topics listed by SAS/SPSS/Stata terminology and R terminology so you can use either to find what you need. A complete outline of the workshop plus a registration link is here. I have no artistic skills, but I’ve always been amazed at what artists can do. I taught this workshop in Knoxville on April 29, and pro photographer Steve Chastain made it look way more exciting than I recall! His view of it is here; turn your speakers up and get ready to boogie!